Corporate IT deployment these days are quite complex, featuring a number of platforms in networked as well as cloud-based environments. AppDynamics is the leading tool that helps analyze, optimize and predict bottlenecks in complex information systems. It can be done on site, during product test and deployment and on the cloud. It has agents for .Net, node js, PHP, Java, C++, Python, Apache Web Server and GoLang. As one of the best application performance management (APM) tool, it allows monitoring of application performance, business performance monitoring end-user monitoring. Excelr is a global training institution with certified experts with years of industry experience in Appdynamics implementation in various scenarios and, as such, they know the ins and outs of this highly complex but powerful tool. They also are experts in transferring knowledge and in attending to each participant to help them become experts in the specific module with theory backed by hands-on practicals. Our goal is to ensure that each participant walks away fully trained and empowered to contribute to his organization after the Corporate APM training. He can go in for Appdynamics certification in time through online route or approach Appdynamics Bangalore centre for further training. As always we provide full support. ExcelR offers unstinting support to all participants during the course and well beyond it. Completion of the Appdynamics training is the starting point to real life implementations where problems are likely to arise. There is nothing to worry about. Our experts are always available on phone, by email or fax or online chat to resolve any such issues. ExcelR AppDynamics online training is available globally and also across India with specific centers in cities like Mumbai, Chennai, Hyderabad, Delhi, Pune and Bangalore. Appdynamics is hugely complex and quite involved and it cannot be learned in a day or two. Besides, it has a host of features that many people have no use for. In this backdrop, ExcelR offers customized Appdynamics training and Appdynamics online training. Custom Appdynamics APM training includes only those modules that are required immediately for staff members to become productive. This is why our custom Appdynamics corporate training brings so much value. We focus mainly on those topics that are of interest for a company to achieve its goals and include options for advanced Appdynamics APM training at a later date. Our training helps personnel know their apps better and visualize complex web and mobile applications as well as reveal interdependencies. By learning to understand the root cause of issues, they are able to resolve problems immediately and thus contribute to speedy production. Not a problem even if you miss a live Appdynamics Corporate Training session for some reason. Every session will be recorded and access will be given to all the videos on ExcelR’s state-of-the-art Learning Management System (LMS). You can watch the recorded Appdynamics Corporate Training sessions at your own pace and convenience. 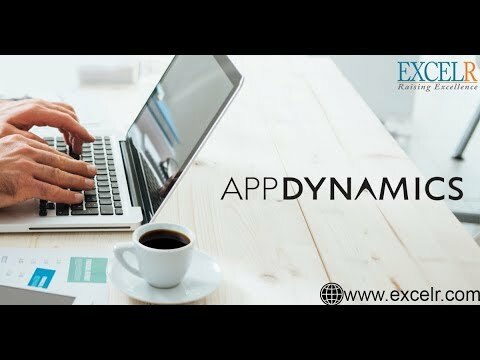 Will I Get A Appdynamics Corporate Training Course Completion Certification From ExcelR?